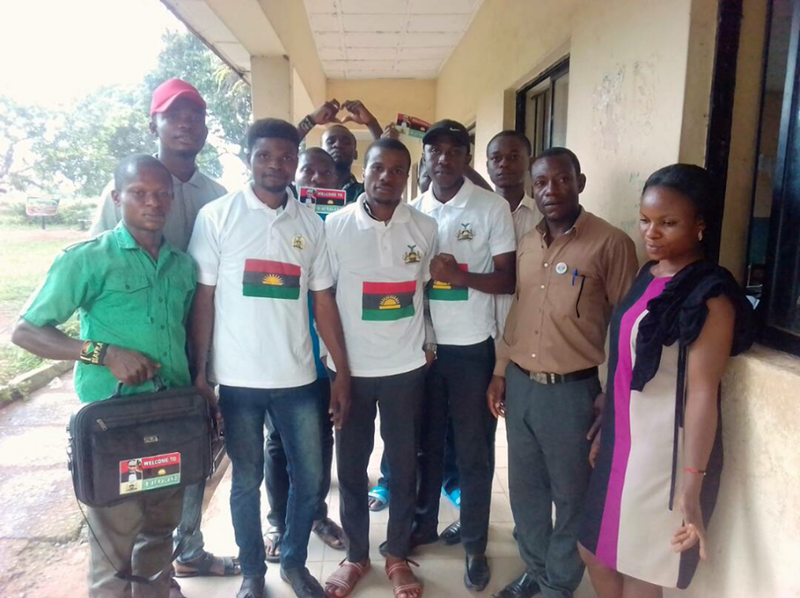 The joy of the students of the Federal university of technology Owerri, knows no bounds as a new IPOB family unit got duly inaugurated at the campus. This was officially given birth to as the Owerri Zonal coordinator, Mazi Chukwumamkpam Abraham, in the company of Nwaada Erochukwu Obodo graced the occasion expectedly, with their presence on Wednesday 7th June, 2017. The issue of "No Election Campaign" in the entire Biafraland, if the Nigeria government maintains its docility in allowing a Biafran Referendum, was emphasized. 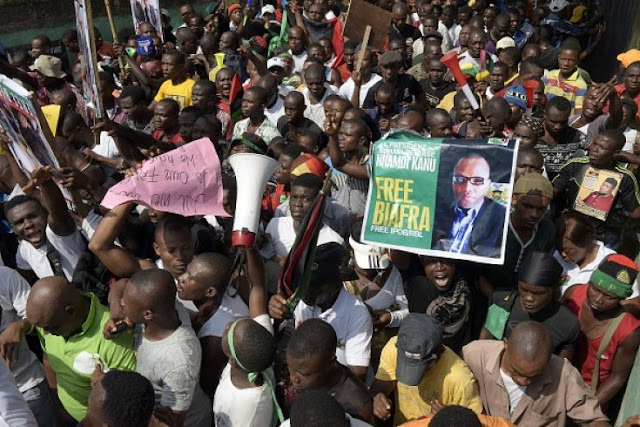 Mazi Chimamkpan Abraham encouraged the newly inaugurated IPOB family unit to spread the Biafra evangelism thrust to their nearest communities and homes. The new family was enjoined to see that additional units were also created in the nearest future. He however advised that they should not hesitate to get in touch with him at all times, in the event of any difficulty. Mazi Nwoke Mba Chima, the FUTO unit coordinator was so elated for the establishment of the IPOB family unit and heartfully thanked Mazi Chimamkpam Abraham on behalf of the unit's family members, for his efforts in bringing the IPOB family into the school environment and for being personally present in the inauguration. He promised that the campus unit will remain doggedly supportive and loyal to Mazi Nnamdi Kanu and the leadership of the IPOB worldwide.